Arriving at court for a court appearance on a criminal charge can be pretty daunting, particularly so if you’ve never been in trouble before and don’t know the process of arriving at court. If you’ve chosen Paxman & Paxman to represent you, our team will are committed to making your first court appearance run as smoothly as possible in order to minimise the trauma and anxiety of appearing in court. 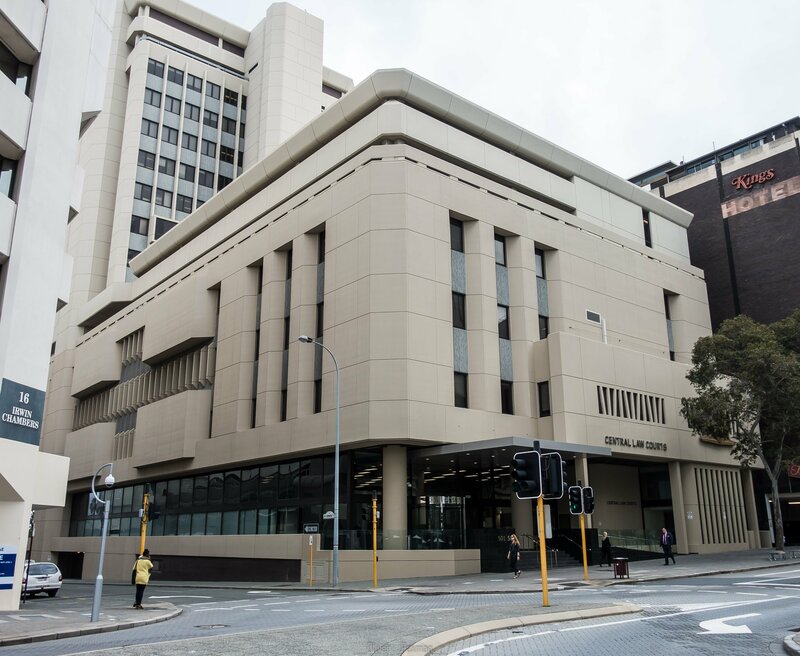 This guide deals with Perth Magistrates Court. However, the procedure for arriving at other courts is essentially the same. Arriving at court for a court appearance is easy if you follow these simple seven steps. You need to dress appropriately for court. Your appearance says a lot about you as person and in a courtroom making the right impression is important. Don’t worry if you don’t own a suit and tie (we sometimes prefer that you don’t wear a suit). Just wear neat attire, be it casual or work. Don’t wear ripped or dirty clothing, singlets or thongs. Do not wear clothing that contains inappropriate or political statements of any kind. High visibility work wear should also be avoided, although sometimes this can’t be avoided if you have work commitments immediately before or after court. Cover any tattoos where possible. The most important thing to remember about any court appearance is to arrive on time. If you are on bail, you are legally required to answer your bail in accordance with your bail papers. If you are late to court, you are in breach of your bail conditions and you are at risk of an arrest warrant being issued, having your bail revoked and potentially being charged with the offence of breach of bail. You need to plan ahead so that you arrive on time. Parking in the city can be unpredictable. The closest car parks are the Wilson car park next to the Kings Hotel on Hay St, the old fire station car park, also on Hay St and the two multi-storey car parks on either side of Pier Street. One is operated by the City of Perth and the other by Wilson. These have a tendency to fill up quickly and sometimes they are all full by 10 am. For this reason, the Perth Concert Hall is usually the most reliable option. Another option is to have someone drive you to court so that they can drop you at the front of the building and then they can find somewhere to park. In recent years, security at the courts has been improved significantly. At most courts, there is airport style security in use. This requires you to place your belongings in tray in order to go through the x-ray machine. Much like air travel, sharp object, dangerous substances etc cannot be taken into the building. There are also metal detectors in use and you may be asked to remove your shoes, belt or jewellery and put them through the x-ray machine. After clearing security, you need to find which courtroom your case is listed in by checking the daily court list. You can do this prior to getting to court by checking the eCourts listing on the Magistrates Court website. 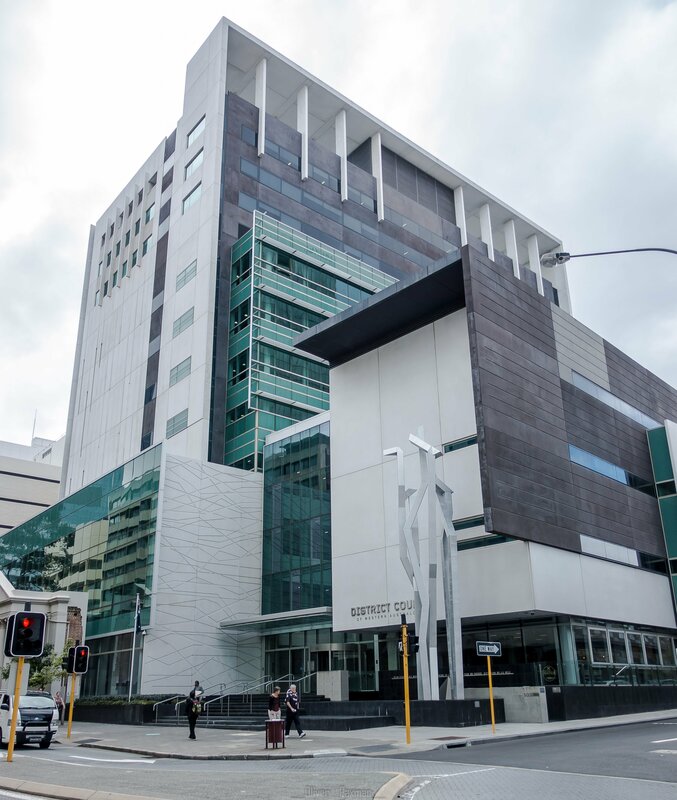 At Perth Magistrates Court, the daily court list is found on a series of 42 inch television monitors located to your left as you clear the security checkpoint. The list is divided into criminal and civil listings. If you are at court for a restraining order or an extraordinary licence application: you need to check the civil listings instead of the criminal listings. Once you have located your name on the list, take note of the double-digit court number next to your name. The first digit corresponds to the floor number you need to go to. For example, court 41 is on level 4, court 32 is on level 3 and so forth. Take the elevator the appropriate floor and find your courtroom. Note: for the District Court, the daily court list is located before the security checkpoint so you need to check your listing before going through security. Once you have arrived at your courtroom, you need to check in with the court orderly. Prior to entering the courtroom, you must ensure that your mobile phone is switched off and that you have nothing on your head such as a hat, sunglasses or headphones. If the court is in session, it is customary to bow to the magistrate or judge as you enter and leave the courtroom. When you enter the courtroom, you need to find the court orderly. They are usually seated at one of the long bench tables and they will be surrounded by paperwork. There is often a line of accused people and lawyers waiting to check in. When you have reached the front of that line, the orderly will ask for your name. They will also ask you if you are representing yourself, using the duty lawyer or represented by a private lawyer. You should tell the orderly that you have a private lawyer from Paxman & Paxman. Usually, you will arrive at court before we do. Once the orderly knows that you are represented by Paxman & Paxman your case will be held until we get there. Once you have checked in, you can take a seat and wait for us. You can either sit in the court gallery at the back of the courtroom or in the seating outside. If you are nervous about the process of appearing: sitting in the gallery and watching other cases might help put you at ease. If you need to use your phone or want to entertain yourself with your phone while you wait: sit outside instead. Try not to panic if we are not there at the time of your listed appearance. We often have more than one court to attend to on any given day. Sometimes we have to do certain types of appearances before others and this may delay us getting to you. Also, the time your appearance is listed for is usually (but not always) not when your case will actually dealt with. Often, it is start time for that particular courtroom and your case will not be called until we are there and we are ready. If your appearance is going to be dealt with at a particular time: we will advise you of this and we will be there on time. If you still worried, please call the office and one of our staff will assist you. Please try and avoid calling your lawyer’s mobile as your lawyer may be in another court and unable to answer. Our team of criminal lawyers and barristers based in the Perth CBD are criminal law specialists and experienced in providing sound legal advice to clients. If you need help with a criminal charge in Perth or elsewhere in Western Australia: give us a call today on 1300 274 692 or fill out an online enquiry and one of our experienced criminal lawyers will be happy to assist you.